The world’s largest company, WalMart Stores, has revenues higher than the gross domestic product of all but twentyfive of the world’s countries. Its employees outnumber the populations of almost one hundred nations. The world’s largest asset manager, a New York company called BlackRock, controls assets greater than the national reserves of any country on the planet. In the summer of 2013 the U.S. political landscape began to overflow with bureaucratic leaks. Lower level staffers who did not have the pay-grade to make decisions on what gets out into the public realm started leaking reports, data, and stories into the press to try and affect policies they felt were important. This gets to the core of what Rothkopf is trying to say. The system is so democratic that the lowest man on the totem pole can possess just as much power as the woman at the top. The system is ungovernable and "power" is fleeting. This was a good read and I would recommend it to anyone interested in politics, sociology, and business. It is frustrating when a fascinating topic falls into the hands of an incapable writer. LeDuff's clunky writing style with horribly placed similes, disjointed narrative, and poor choice of main characters make this a really tough read. First, LeDuff uses similes that seem picked at random from a quote book with little thought as to their appropriateness and or clarity. As the reader fumbled over these literary gaffs you think, gosh, where was the editor. It is only downhill from there. Trying to follow the narrative of the story is worse and you come out feeling there was no editor. 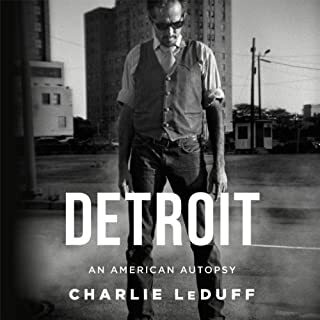 LeDuff skips around, sprinkling in autobiographical details here and there, then finally decides to tell his autobiography at the end of the book. It's like the publisher came back and said you need another twenty pages and he decided to go ahead and fill it with his story. The details of the book are told in a head spinning back and forth manner that epitomizes the poor edit quality. Is the book about the mayor, city council, firefighters, factories, or what? He is too scared to even delve into the real economics of the collapse of Detroit's car industry. Detroit is full of stories and angles to tell of its downfall, but the choice of firefighters was a poor one. He chooses to tell the story from the view of how the fire departments are run down and the role corruption has played in that, but by focusing on the fire department the true causes for Detroit's collapse are left unanswered. LeDuff spends too much time on insignificant details he himself claims were not root causes, only symptoms. He ignores the important work that needs to be done on this topic. Namely, how both private and public sector wealth is being squandered and the middle class is left to pay the social and economic price. I would give this book a pass. Find an author with a socio-economic I.Q. Mr. Holiday tackles a pretty tough issue in this book. He does it intelligently and informatively. There is a lot of conflict in its telling. It's like listening to Pandora lament about opening the box. 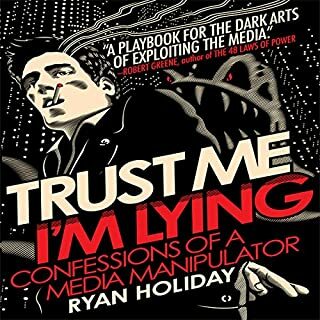 Mr. Holiday outlines the ways in which the news is being manipulated by the Internet. He does this from the POV of being a manipulator. Much of what he says is common sense, but seeing the illustrations and having it laid out in plain view somehow solidifies it in the mind. If you are trying to start your own Internet blog sensation, this book is a must listen. 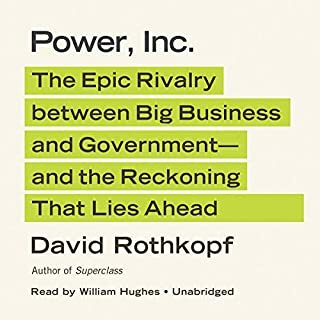 If you are an avid Internet news consumer, this book is a must listen. If you never use the Internet for news, this book is a must listen. While his reading felt like listening to a reading race, over time he either slowed down or I got used to the pace. 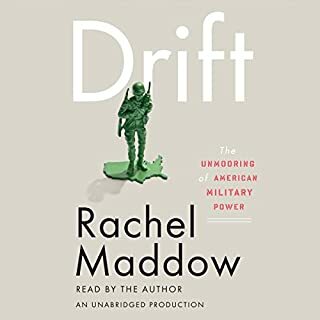 Rachel Maddow's Drift argues that we've drifted away from America's original ideals and become a nation weirdly at peace with perpetual war, with all the financial and human costs that entails. Sensible yet provocative, dead serious yet seriously funny, Drift will reinvigorate a "loud and jangly" political debate about how, when, and where to apply America's strength and power - and who gets to make those decisions. I think there was a lot of wasted time on sidebars that could have been spent on more salient analysis. Would you be willing to try another book from Rachel Maddow? Why or why not? Of course. She is one of the moving voices on the political Left. I may disagree with her, but she offer a somewhat coherent amalgam of practicality and ideology. What about Rachel Maddow’s performance did you like? It was a typical performance. She's not a great orator or speaker, but she can read. Could you see Drift being made into a movie or a TV series? Who should the stars be? Definitely not a movie type book, though I could see some film school students trying to go "Dr. Strangelove" on it. I enjoy watching Rachel Maddow’s daily television show via podcast. I have come to learn that you do need to fact check her quite often as she presents an interesting perspective on things. Namely, when she disagrees with a point of view, she out of hand throws up her hands and claims there is no way to understand what her opposition is thinking. She uses this quite often throughout this book, which slides it away from the more thorough academic style book I was hoping for from this thoughtful woman. Her thesis: The American Military/Industrial Complex has garnered too much power and is crowding out democratic processes, is thought provoking, well presented, and well defended. It is not a partisan screed, though her perspective is from a pacifist leaning left position. Hopefully it will lead to an expanded dialog on state actors’ legitimate usages of force in the future. In this fast-paced epic, best-selling historian and master storyteller Arthur Herman spotlights two giants of the 20th century. 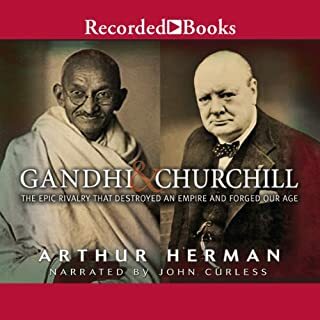 Gandhi & Churchill shows how their 40-year rivalry revolutionized India and the British Empire, paving the way for a new era. Gandhi championed India's independence, Churchill the British Empire. Why would you write a book about two men whose lives intertwined, but then take sides? Mr. Herman takes every opportunity possible to degrade Gandhi and belittle the man. While I think there is a lot too learn from books such as these, I found the bias against Gandhi throughout the book surprising and the premise of the book a stretch. There are only random cross references between the two. Essentially these are two books sold as one. Think Outcast SpeakerBoxx/Love Below double CD set. I would recommend passing this one up. Ayn Rand is the author of two phenomenally best-selling ideological novels, The Fountainhead and Atlas Shrugged, which have sold over 12 million copies in the United States alone. Through them, she built a right-wing cult following in the late 1950s and became the guiding light of Libertarianism and of White House economic policy in the 1960s and '70s. Her defenses of radical individualism and of selfishness as a "capitalist virtue" have permanently altered the American cultural landscape. 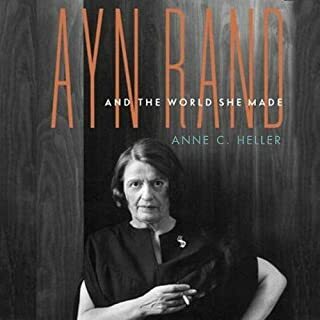 Having read all of Ayn Rand's books I found this biography fascinating. I had to go back and read some of the novel's texts, and it gave me a new perspective. The author shows great respect for her subject, while at the same time illustrating some very disturbing flaws in her personality. There are some interesting one line comments that are left hanging that need more explanation, but are given short shrift. If you are a reader of Ayn Rand this may open your eyes to some things. If you do not know who she is and have not read her books, you may walk away a bit confused. I would recommend it for people who have read at least The Fountainhead or Atlas Shrugged. If you haven't read at least one of those two books, then this is not a good introduction to Ayn Rand. Prize-winning Washington journalist Juan Williams was dismissed by NPR for speaking his mind and saying what many Americans feel - that he gets nervous when boarding airplanes with passengers dressed in Muslim garb. NPR banished the veteran journalist in an act of political correctness that ultimately sparked nationwide outrage. 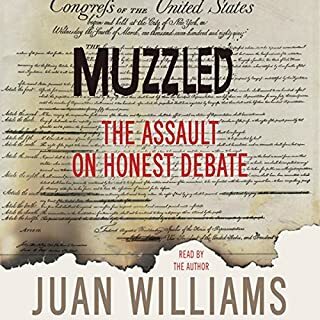 Muzzled is a hard-hitting critique of the topics and concerns we can't talk about without suffering retaliation at the hands of the political correctness police. Mr. Williams does an excellent job presenting his case in a fair and balanced view (pun unavoidable due to true reporting skills presented). Though it is clear he is right of center on many issues, he refrains from building straw man arguments in most cases. There are some glaring short-comings, e.g. he does not present a good balance of the abortion riff by leaving out details then, unwittingly, fails to heed his own advice. It happens so quickly you wonder what the editor was thinking. All-in-All it was a really good listen and has helped me to balance my thinking a little more. I have begun to split my time between Fox, CNN, and MSNBC a little more evenly now. If you are looking for a political screed, this is not the book for you. If you are looking for a level headed and ever so slightly right leaning view. Get Muzzled (Pun intended). 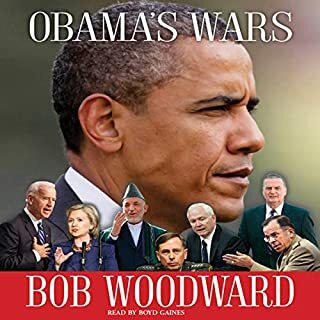 Working behind the scenes for 18 months, Bob Woodward has written the most intimate and sweeping portrait of President Obama making the critical decisions on the Afghanistan War, the secret war in Pakistan, and the worldwide fight against terrorism. This is Bob Woodard in his element. Beyond the politicking and spinning of the arguments, he gives an almost AP factual style reporting on what is really going on in the White House. Much like his three books on the Bush administration, it is not hard to see pundits on both sides of the isle picking and choosing their quotes from this work to support their point-of-view. In the end, what we walk away from this experience with is the understanding that The White House is home to the biggest internal rivalry of egos in the country. Negotiating them and trying to map the way ahead for our country is a path beset with many obstacles, opinions, and potential detours. Most readers are going to look at this work and try to draw comparisons, which is completely legitimate and possible. In the end, what Woodard makes clear is that these are all people who fervently believe that what they do everyday moves our country forward to the best of their abilities. It is up to the reader to look at the FACTS and decide is this the future they envision for our country. I recommend this book to readers of all stripes, red, blue, and purple. 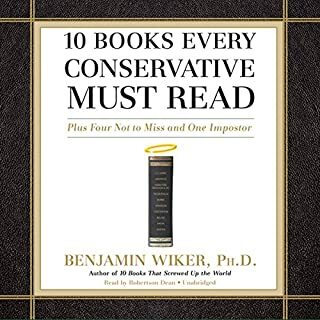 Having read most of the books on this list, I think I'll have to agree with Mr. Wiker. He presents pretty compelling logic to support his political ideas, though I have to strongly disagree with him about Ayn Rand. Atlas Shrugged is quintessential reading for anyone trying to understand the economic beliefs of the right. The problems come in where their religious beliefs don't see eye-to-eye. Mr. Wiker's interpretation of The Lord of the Rings was one I had heard in passing, but in this extended explanation I came around to being able to appreciate the work in a different light. After the gushing review of C. S. Lewis' Abolition of Man, I have to read that book. What I liked most about this book is it focused on the conservative mindset, though there were many glancing blows thrown across the isle. I would strongly recommend it to any conservative looking for the way. Liberals who are truly trying to understand the right can take a lot from this book, but most will miss its messages. 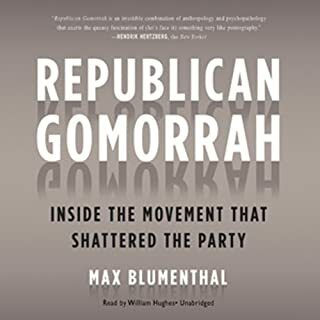 Inspired by the work of Psychologist Erich Fromm, who asserted that the fear of freedom propels anxiety-ridden people into authoritarian settings, Blumenthal explains in a compelling narrative how a culture of personal crises has defined the radical right, transforming the Republican party for the next generation and setting the stage for the future of American politics. After listening to the first few minutes of this audiobook, I began to regret having not listened to the sample and just going off the comments and synopsis. Blumenthal is down right belligerent in his distaste for religion. Being an Angeleno and having grown up around people of many faiths, the disrespectful tone and demeanor he takes when describing people's deeply held spiritual beliefs was distasteful and led me to tune out most of what he was trying to say. In the end, this book only goes to prove that we are all human, we make mistakes, and we are largely driven by self interests. We attempt to coordinate our self interests and spiritual beliefs, but sometimes life gets in the way and we have to make ethical or moral decisions that go against those beliefs. In the end, it seems like the book is calling for a more moderated voice to come through, but if you mock deeply held beliefs of people you disagree with, then you come off as being just as ignorant and intolerant as you believe they are. I would not recommend this book to any one on the right, left, or center unless they were interested in finding out why and how the Right and Left are talking past one another.